CHILDPROOF YOUR HOME - Website of doctorlovejoy! One of the most important steps you can take to protect the health and life of your child is to "childproof" your home. Perhaps the best way to do this is to take a "baby's eye view"; crawling from room to room will help you spot the sharp corners, uncovered electrical wall outlets and extension cords, hanging cords to lamps and other appliances, and loose objects which might easily fall. The following is a quick checklist for childproofing each room in your house. Remember, however, that every child and home are different. Check your home carefully. Never leave your baby unattended. 1. Hang mobiles and dangling toys out of reach so that baby can't strangle on the string. The string should be no more than 12 inches long. 2. Diaper pails can be dangerous to curious babies: many have drowned in the soaking pails. Keep the cover on the pail. 3. The various baby powders and talcs can be dangerous. Never use them near a fan or allow the baby to play with the container--he could choke on the dust. 5. Store ointments, creams, safety pins and all other baby paraphernalia out of reach. The kitchen is one of the more hazardous areas of the house, especially when you are cooking. 1. Turn handles of all pots and pans to the back of the stove so that the baby can't reach them. (The best way to avoid accidents is to keep your baby in his playpen or high chair while you cook). 2. Avoid using tablecloths that can be pulled down. 3. Keep all appliances and their cords away from the edges of counters or table tops. All cords should be coiled up and tied. 4. Place safety latches on kitchen cupboards. If you have room, you can let your baby have one cupboard of his own filled with pots, pans, and large plastic bowls. 5. Cleaning products and all other toxic substances should be stored in a high cupboard with a lock or safety latch. 6. Keep knives and all cutlery in a drawer or cupboard out of your baby's reach. 7. Try to keep bits of food off the floor, especially food that your baby could choke on. 8. If you drop a glass on the floor and it breaks, protect your crawling baby's hands and knees by first vacuuming and then using a wet paper towel to get any remaining slivers. 9. Whenever you are handling hot liquids, check to see where your baby is BEFORE you pick up the tea kettle or pan. You do not want to trip and spill boiling water on your baby. 10. Teach baby from the very beginning that the stove is off limits whether it is off or on. 11. Jagged edges on boxes of aluminum foil or plastic wrap can cause cuts; keep them out of reach. 1. Plan on putting away all delicate, breakable, and valuable items from tables and shelves until your baby is well past the curious/destructive stage (4 to 5 years old). 2. Check the floor area daily for small objects that baby could choke on: pins, small bits of food such as popcorn, peanuts, etc. 3. Tables with sharp corners and edges can be protected with rubber corner guards. 4. Bookcases are great attractions for young babies. Make sure they are fastened to the wall so your baby can't pull a bookcase over on top of himself. 5. Cover unused electrical outlets with plastic caps. You can also obtain boxes that will cover outlets that are being used. Where possible, place furniture in front of outlets. 6. Never leave extension cords plugged in where your baby can find and chew on them and be seriously burned or shocked. Tape any excess cord down so baby won't be so interested. 7. Heaters, whether electric space heaters or wood stoves, can present serious hazards to a young baby. Make sure heaters are well ventilated and are protected by safety guards. 8. Landline telephones are fascinating to curious babies--make sure the cords are out of reach, so that the baby doesn't pull the phone down on his head. If you put the phone on the floor, try putting a wide rubber band over the switch hook points so the phone line is not on when the receiver is lifted. You can still receive calls while the baby plays, but you won't have any unexpected long-distance phone bills. The bathroom is especially dangerous because it usually contains medicines, drugs, and other potential poisons. 1. Keep all medicines and drugs in a locked cabinet out of your baby's reach. Aspirin and acetaminophen/paracetamol are some of the most common causes of childhood poisoning. Be careful to return all drugs to the cabinet after you use them. 2. Shampoo and soap should also be kept out of baby's reach. 3. Hairdryers should always be kept unplugged to avoid electric shock if they should be pulled or dropped into water. 5. Your baby will find the wastebasket full of interesting things. Be aware of what you throw away and put pills, razor blades, etc. in a special wastebasket that is out of baby's reach. 6. Babies have drowned in toilet bowls--always leave the lid down. High rubber stops on the lids will prevent his fingers from getting caught if he should happen to lift and then drop the lid. 7. A hook on the outside of the bathroom door or a plastic door knob cover may be necessary to keep the door closed and the baby out of the bathroom. 8. Use plastic or paper cups and containers in the bathroom so there is less chance of broken glass. 9. Teach your toddler never to touch an electrical appliance, such as a hair dryer, telephone, or radio, while he or she is in the bathtub. The leading cause of deaths and injuries to children at home is accidents. Scalding from hot water is one of the most dangerous of these accidents. Small children are busy and can get to sinks or bathtubs quickly. They can burn themselves severely before they can get out of the water. Infants are unable to move away from hot water if it is accidentally left on too hot. The following chart shows just how dangerous hot water can be. You can see from this chart that if your infant or young child should come into contact with hot water, the temperature of the water would make the difference between whether he or she gets burned or not. If your hot water heater is set at 150°F (66°C) and your child comes in contact with the hot water for just 2 seconds, your child will receive a burn bad enough to require medical treatment. The following are some common questions and answers about hot water heater settings. 1. Q: If I turn the hot water heater setting down, won't I have trouble getting the dishes in the dishwasher and the clothes in the washing machine clean? A: No. The major soap manufacturers design their soap to work best in water between 120°F and 125°F (49°C to 52°C). 2. Q: Will my baby get more colds if the hot water isn't hot enough? A: No. Hot water has nothing to do with getting colds. 3. Q: Will we run out of hot water any sooner if we turn the temperature down? A: Yes, you will. But this may be a small price to pay to protect your child. 4. Q: Will I save any money on utility bills by turning down the temperature setting? A: Yes. On the average, for every 10°F (6°C) that you turn the temperature down, you will save 4% on the water-heating portion of your utility bill. 5. Q: I don't know where the thermostat of my hot water heater is, and I don't know how to tell at what temperature it is set. How can I tell? A: First measure the hot water temperature. The best way to do this is to measure it in the morning, before anyone in your home has used any hot water. Turn on the hot water at the kitchen sink and let it run for 2 minutes. Then, using either an outdoor thermometer or a candy thermometer, hold the thermometer in the stream of the water until the reading stops going up. If your water-heater setting is at a safe level (between 120°F and 125°F, or 49°C to 52°C), you don't have to do anything. There is no advantage to setting the thermostat below 120°F (49°C). If your hot water setting is too high, here are some tips on how to find the thermostat and turn it down. * Gas hot water heaters usually have a thermostat outside the tank at the bottom. Electric water heaters usually have either two panels screwed to the top and bottom of the tank or one panel along the side of the tank. Thermostats are located under these panels. * The thermostat should be set on the "low" setting or within the "energy efficient range." If the temperature at the kitchen sink is too hot at this setting, adjust the thermostat to a lower setting. After changing the thermostat setting, you can test the hot water temperature again about 24 hours later. If you test it in less than 24 hours, you will not get an accurate reading. Continue to test the water temperature and adjust the thermostat setting until the water is no hotter than 125°F (52°C). If you get it below 120°F (49°C), then turn it back up a small amount. Your child is no longer at significant risk for hot water burns by the age of 4 years. Then you can turn your hot water heater up to a higher temperature. Other tips: use back burner on stove top; turn pot handles away from exploring hands; keep hot liquids at least 10 inches/25 centimeters from table’s edge. Fire and CO2 alarms: You can buy detectors at BHV or Castorama. Put one in every bedroom, any room with a chimney, and the kitchen. Don’t forget to change the battery every six months (e.g. when you change your clocks for daylight savings). 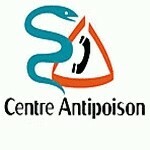 Special note: Keep the poison center number on all phones. The poison control number is 01 40 05 48 48.